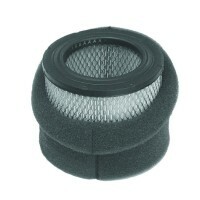 These blowers are great for moving a lot of air in more shallow applications and have a very low PSI. Regenerative blowers provide a reliable and cost effective source of clean air for your water. 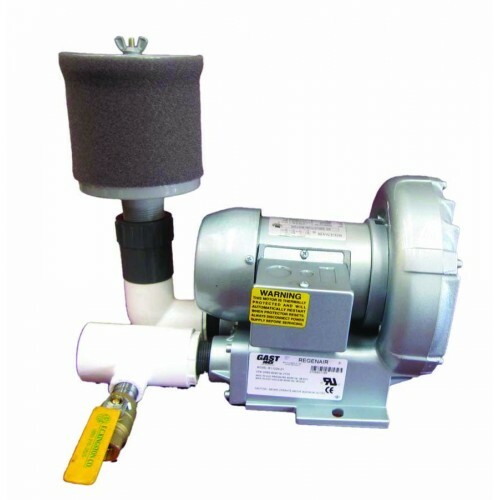 Gast’s energy efficient blowers are popular among aquaculturalists because of their high level of performance and durability. Simplicity equals reliability with these blowers. There is only one moving part on the Gast Blower. Since the impeller touches nothing, there is no wear, no vibration, no seals and no lubrication. In cases of low voltage periods, the blower is equipped with a thermal overload switch which trips the motor, allowing it to cool and automatically restart. The housing, impeller and muffler boxes are cast aluminum. Gast blowers are entirely American made. Gast blowers are covered by a two year warranty on defects in workmanship and materials.